The Aussie Swingers Podcast Ep 19. | The Aussie Swingers. We Swing Around the World! 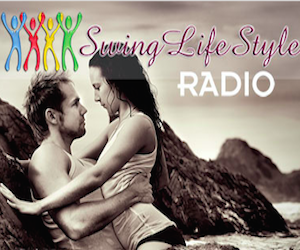 The Aussie Swingers Podcast Ep 19. Ellie and Al have returned from Desire Pearl, suffering from PDD and chat about crossing the ‘friend zone’ line and their apprehension in potentially changing a vanilla friendship. A few musical shout out memories are included as secret messages to new and old friends and they discuss their decision to visit Hedonism II with their group next year. Also discussed are the speed at which friendships are formed at resorts and how soon is too soon to exchange contact details without looking desperate? Much more to come next podcast regarding lessons learnt this trip. « The Aussie Swingers Podcast Ep 18.